Multiples of 20 are packaged in mint sealed tubes. 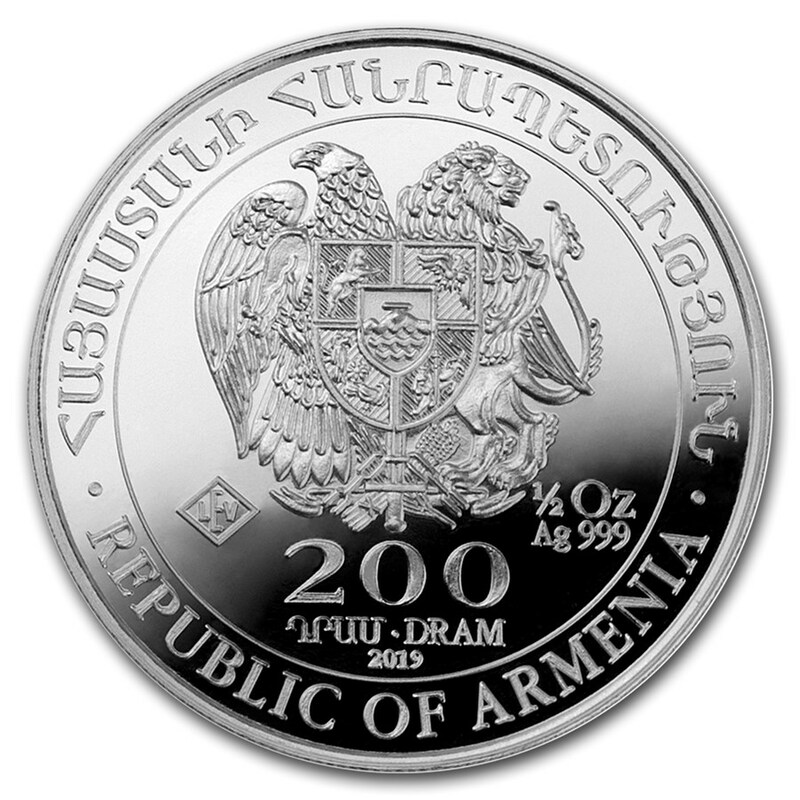 Obverse: Displays the coat of arms of the Republic of Armenia along with the value of “200 DRAM” and the issuing year. The Noah’s Ark coin combines supreme minting quality with a timeless story known around the world. Fractional Silver coins provide more options when purchasing .999 fine Silver, as they offer a lower price point than their larger sized counterparts. 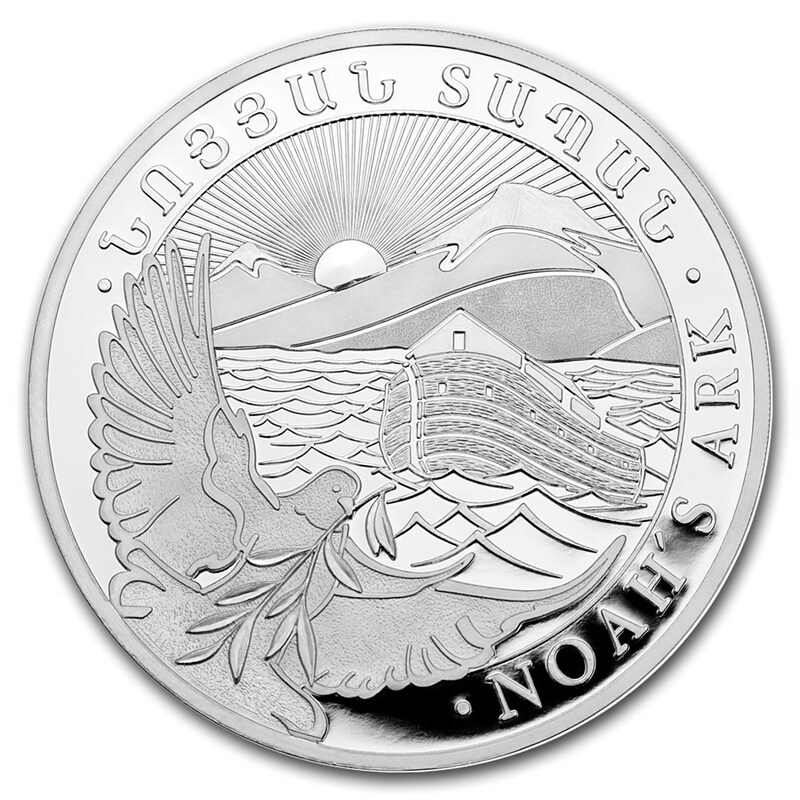 The Noah’s Ark Armenian Silver bullion coins are available in different sizes from 1/4 oz up to 5 kilograms. Add this 2019 Armenian 1/2 oz Silver Noah’s Ark coin to your cart today!